Dimapur, December 7: An event to bring different communities & denizens of Dimapur to celebrate unity and diversity, “The December Fest” would be held at the DDSC Stadium, Dimapur, from December 18 to 20. The event is organized by The Better Dimapur Team in collaboration with the Dimapur Municipal Council (DMC), Naga Council Dimapur, GB Union Dimapur, Dimapur Urban Council Chairman Federation (DUCCF) and Naga Women Hoho Dimapur. Taking to media persons on behalf of the organizers, Alobo Naga said that the fest is totally in the interest of the citizens with no political motives as it resonates with the most joyous time of the year, heralding the Christmas and New Year celebrations. Alobo said that the December fest would provide an opportunity to the youth and elderly alike to relax, enjoy and to interact with the people from different walks of life; and also garner an opportunity to explore and experience both traditional Naga heritage along with the modern, the organizers said. He also informed that shows and competition during the fest will include Aeromodelling show, Choral competition, Flower exhibition & competition, Photo exhibition & competition, Open dance competition, Waste to art competition, Face painting competition and Santa Claus competition (colony wise). Traditional events will include tug of war and bamboo stilt race competition, both colony-wise. 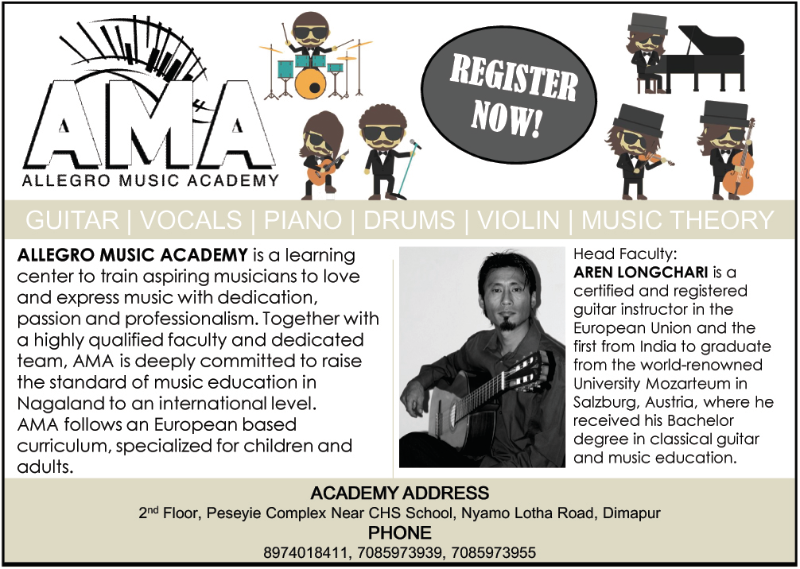 On December 18, the evening programme ‘Musikal Mojor’ will see performance by Musik – A School, KC Lights Shillong (Winner of International Choral meet 2018) and ANTB (Alobo Naga & the Band). On December 19, there will be Step Up Dance Nite with the following artist: Kate Shoo (Ukraine) – DJ & Model; Ravator (Delhi); Zuchobeni Tungoe, Meribeni Patton and DjSumika. On December 20, there will be Christmas Choral Competition. 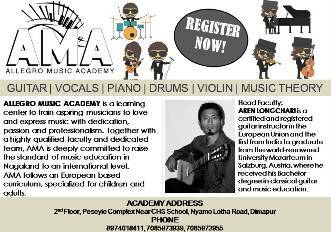 There will be open choral competition, Cleanest Colony Award and concert by various artiste from Dimapur. On asked about the arrangements of sanitation and waste management, Adrain Mahung said that they are fully prepared for that. He said two trucks would be stationed on the venue, besides several bins would be placed at different locations, which would be emptied from time to time. He also stressed that they would see that no plastic items are used and would encourage paper bags instead of polythene. He informed that there would be several stalls set-up during the fest, which would include food joints, crafts etc., adding the stalls would be constructed by the organizers, who would also provide lighting etc. Meanwhile in connection to article published in a local daily titled ‘December Fest: Biz community flays DMC for involving political party’, the organizers have clarified that initially BJYM approached them to collaborate for “The December Fest” along with other civil societies, but they backed out. It said the BJYM wanted to collaborate with the Better Dimapur Team and not with DMC.